Back in 1993 I covered the Vancouver-area filming of the Stephen King-based horror flick Needful Things for Fangoria. The movie ended up being crap, but I did get to interview everybody’s favourite exorcist, Max von Sydow, so that was cool. Not many actors have the wide-ranging talent it takes to play both the best and baddest characters the world has ever known. 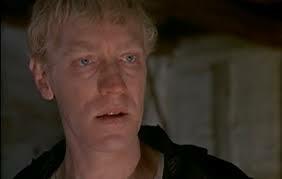 But film great Max von Sydow is no run-of-the-mill thespian. That’s why he was called upon to play Jesus Christ in the 1965 film The Greatest Story Ever Told and the devil himself in the upcoming, B.C.-made Needful Things. And cinephiles who saw von Sydow soar to great cinematic heights as the star of Ingmar Bergman’s 1956 masterpiece The Seventh Seal shouldn’t be too taken aback by his current role as a supernatural villain in a mainstream horror flick. The 63-year-old actor has had an abiding interest in the fantastic ever since he was a child growing up in a small town in the south of Sweden. 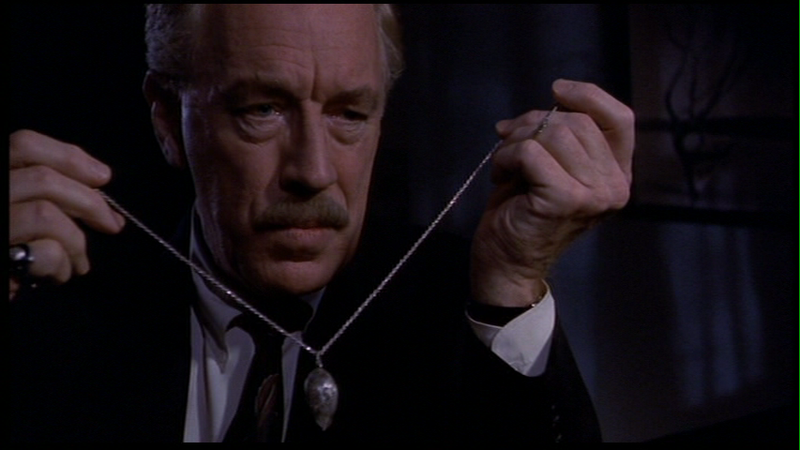 In Needful Things, von Sydow plays Lelant Gaunt, a demonic shop owner who moves into the fictional town of Castle Rock, Maine, and begins selling the spellbound townsfolk items that they “need” in exchange for small pranks played on their neighbours. But those wee practical jokes soon end up turning the population against itself, leading to a hellish maelstrom of murder. After all, the film is based on a Stephen King novel. “I’m trying to play Gaunt the way Stephen King has written him,” says von Sydow of his Luciferian role. “What I like with it is that he is portrayed as a very nice man, as a very urbane and courteous and charming man who—through this attitude and through this concept—appears not to be dangerous. I mean that is a truly dangerous person. Although he first came to fame in the ’50s through a series of brooding performances for director Bergman, horror fans know von Sydow from a number of genre performances, the first of which was his role in Hungarian director Laslo (The Wild One) Benedek’s 1970 revenge tale, The Night Visitor. “I thought that was an interesting story, and an interesting character, too,” says von Sydow of the asylum inmate who ingeniously escapes from his cell to kill the people who sent him there. Since then his roles include that of King Osric of Zamora in Conan the Barbarian, Ming the Merciless in Flash Gordon, SPECTRE mastermind Ernst Stavro Blofeld in Never Say Never Again, troubled dream researcher Dr. Paul Novotny in Dreamscape, and heroic Imperial ecologist Dr. Kynes in David Lynch’s much-maligned Dune. 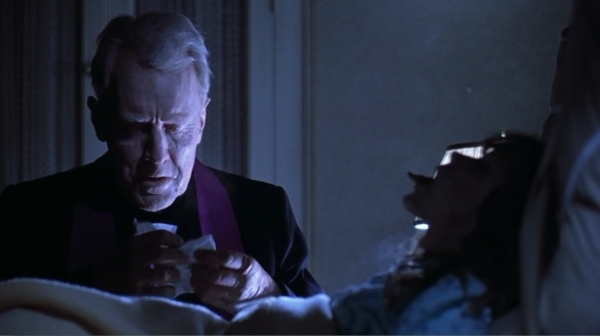 Fright fanatics know von Sydow best for his role as Father Merrin in The Exorcist, of course. He was the exorcist, who braved the torments of hell—not to mention green-pea soup in the eye—to save little possessed Regan MacNeil (Linda Blair) in William Friedkin’s 1973 terror classic. Scary as The Exorcist was, von Sydow was surprised when he first heard the much-publicized news about weak-hearted filmgoers running from the theatre in panic and tossing their cookies when the movie’s nastier bits were flashed on the screen. Nightmares of another kind—owing to a botched movie effort—were rampant among viewers of Dune, the big-budget sci-fi flop based on Frank Herbert’s celebrated novel. But if the end result was poor, von Sydow’s experiences working with writer/director David Lynch on that project were healthy. “I enjoyed that. I was just very sorry that David Lynch was not allowed to make a longer film than he did. It was not fair to the project, it was not fair to the subject, it was not fair to David Lynch to cut it down as much as it was. It should have been a long film, or even better it should have been a miniseries for television. It’s such a fantastic book, it’s a terrific book, I must say. Von Sydow’s nemesis in Needful Things, Castle Rock Sheriff Alan Pangborn, is played by Ed Harris, another well-respected actor who has made the journey into genre territory. Harris made his film debut in Michael (Jurassic Park) Crichton’s 1978 thriller Coma, and went on to become a genre fave for his role as the foreman of a prototypical underwater oil-drilling rig in James Cameron’s Abyss. “I’m very happy to work with Ed Harris,” says von Sydow. “I’m just sorry we don’t have very much to do with each other here. We have one scene just him and me, and then we are both involved in the big climactic ending, and that’s not the kind of scene I really enjoy to do. 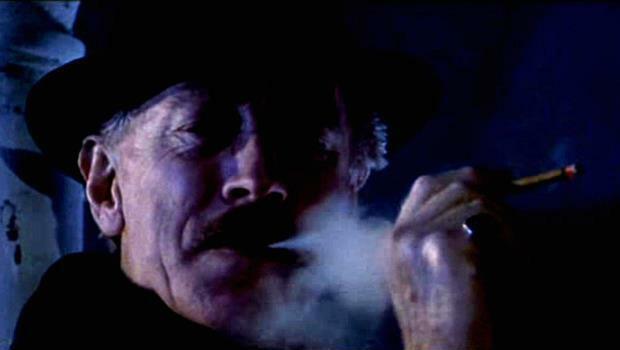 Von Sydow hasn’t seen Harris in action in The Abyss yet—“He has mentioned it a couple of times. I have to see it”—but he says that he enjoys genre films, for the most part. It helps if they’re decent movies as well. “I don’t like just any scary movie,” he says. “Some of them, I must say, I think are terribly silly. And terribly bad. But if they are good, yes. I think one of the most thrilling films I’ve seen—which has nothing to do with supernatural things, but is terrifically suspenseful—was Runaway Train. Andrei Konchalovsky directed that, and that was fantastic and terrifically well acted. Von Sydow says that the favourite role of his career, so far, was that of a humble widower struggling for survival in Bille August’s poignant 19th-century drama Pelle the Conquerer. 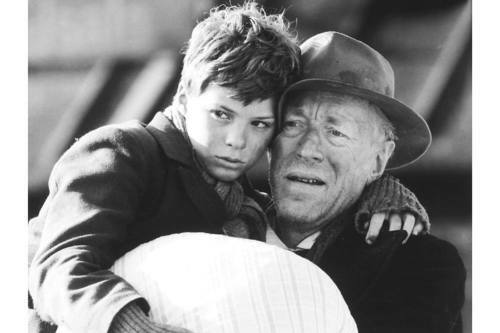 The 1988 film won the Oscar for best foreign film, and von Sydow’s performance earned him a best actor nomination as well. With that achievement he became one of only three actors in Academy history to be recognized for their work in foreign-language films. Although von Sydow’s illustrious career of nearly 100 films far from pigeonholes him as a horror icon, he claims that he has no aversion to doing more horror roles in the future. “If they’re good ones, yes. But maybe I should emphasize that I was brought up within the Swedish theatre system, which in those days was—and still is—a repertory system, more or less. So I was brought up in municipal theatres in Sweden with small companies, young companies where you were allowed to do anything and everything—small parts, big parts, leading parts, tragic parts, funny parts, singing parts, dramatic parts, classics, modern plays—whatever. Anything. 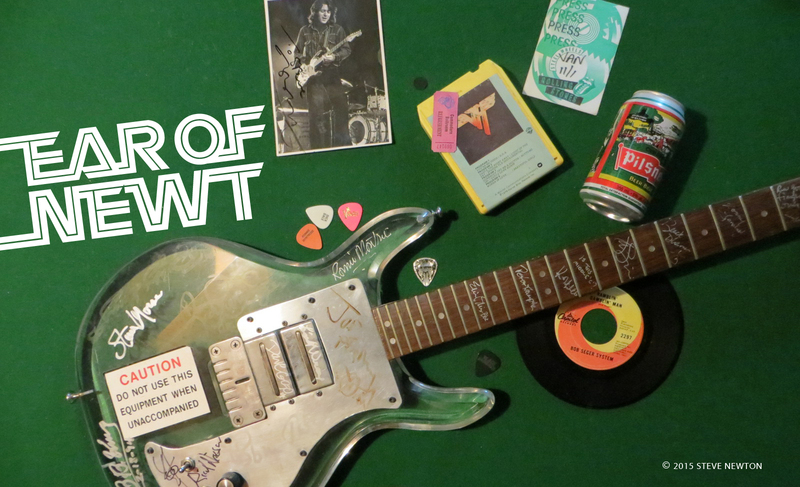 “And that has given me the taste not to be typecast in just one thing. So I always look for something different from what I’ve done before. I will never ever say that from now I’m only going to do horror parts or I’m only going to do villains or I’m only going to do grandfathers or I’m only going to do priests or whatever.